Real estate professionals need to stand out from their competition in order to generate sales, create their own brand, and achieve visibility within the industry. As a marketing tool, your website’s design can serve as your secret weapon. Whether you are redesigning your existing site, or creating a new one, incorporating some key components can make all the difference in how many potential clients see you, and whether they find credibility in what they see. Enlisting a top professional web design firm can ensure a smoother process, as well as offer valuable expertise that can greatly improve your online visibility, and propel your business to new heights. Real Estate Website Design: Effective web design is the integration of aesthetics and function. Attractive Layout and Design – For Sale Marketing utilizes responsive design so that your website may be viewed optimally on any screen size. Additionally, For Sale is well versed in the latest trends that are that are making websites more visually appealing than ever before, such as flat design, which follows a minimalistic approach with limited color and typography, and is built around being mobile friendly. For Sale also builds and codes sites using latest web technologies, such as HTML5 and CSS3. Along with a WordPress content management system that makes maintaining a regularly updated real estate blog a breeze, there are other options such as a mortgage calculator, local market stats, real estate news feed, and a featured properties page, which are tools that will enhance your site and make it a valuable resource for visitors. Fully Integrated IDX Solutions – IDX integration is one of the most effective ways to generate leads on a real estate site. 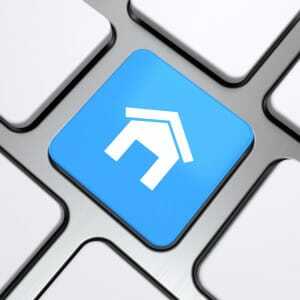 Users enjoy access that allows them to peruse live listings and browse properties for sale. IDX solutions allow you to capture leads, save property searches, and send email updates to your clients. Real Time analytics – Google analytics allows you to utilize tracked data from your site so that you can observe visitor trends, and spot problems or deficiencies immediately, so that you can fix them and continually maximize your site’s functionality. With metrics such as pages per visit, landing pages, bounce rate and exit page information, you will have critical knowledge that will help shape your strategy going forward. Mobile Friendly design – As web traffic moves toward mobile devices, it is necessary to incorporate mobile functionality in every aspect of your site, to provide a quality user experience on every type of device. It is critical that your mobile friendly website functions flawlessly, or your visitors will leave. In addition to employing superior responsive design, there are other protocols available that will ensure an enhanced viewing experience on a smartphone or tablet that are just as functional. For mobile users to find your site, your site’s SEO will be modified to accommodate mobile searches, through revamped keyword search phrases, and the incorporation of long tail keywords and commonly used real estate search phrases. In addition, mobile friendly design includes simpler navigation features, and faster load times. Lead Management – Convert website visitors into viable leads with lead generating forms that collect contact information for those interested in more information or a follow up call. Lead generation submissions are essential, as they put you in touch with potential customers. With expertise in placement, and incorporating a strong call to action in every form, For Sale Marketing provides solid lead management services for your real estate website. Branding packages – Every real estate professional needs to establish a brand that is a visual perception of the expert persona he or she wishes to build. For Sale Marketing offers exceptional branding packages that include dynamic implements such as a logo, business card design, email signature, letterhead, and more. We also offer listing packages to impress your buyers at open houses, on social media, and via mailers. For Sale Marketing offers several comprehensive packages for a fit tailored to your needs and budget. For more information about the effective real estate website design that For Sale Marketing can cultivate for you call (954) 866 – 1129 now!